Is Mustard Bad For You? - Here Is Your Answer. Is Mustard Bad For You? Mustard is great for you. 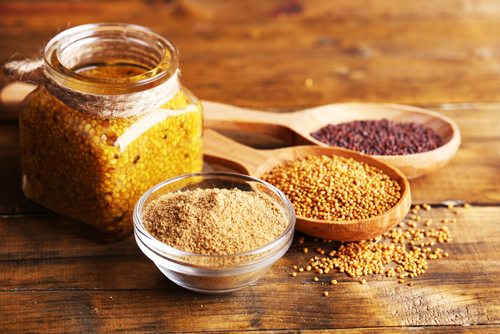 There are so many benefits to mustard (in particular mustard seeds and turmeric) that it is difficult to list every benefit. 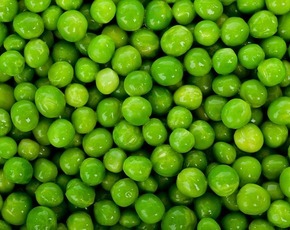 As for drawbacks, there being no protein and no dietary fiber may be the only two. While condiments are often not thought of as being a good part of a healthy diet, mustard certainly deserves recommendation as one of the best things to consume. Assuming you are eating one of the leading brand's classic yellow mustard, there is are no fat, no cholesterol, no carbohydrates, and a low amount of sodium (sodium is found in such abundance in other foods, it shouldn't be difficult to get enough of this in your diet from other sources). In addition to what is seen on the nutrition label, there are other wonderful benefits hidden in mustard. First and foremost is the ingredient that gives mustard its characteristic yellow color - turmeric. 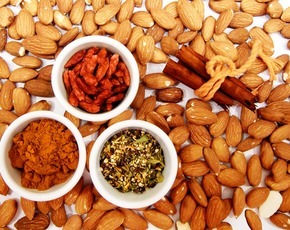 Turmeric is a common spice used to add a yellow color to various foods. Most importantly, however, it contains curcumin. Curcumin has been linked to preventing prostate cancer. In fact, India, a country in which mustard seeds are used in many dishes, prostate cancer is incredibly rare, with a death rate of just over three per 100,000 annually. Mustard also contains phytonutrients which aid in digestion, prevent constipation and upset stomach, and ward off gastrointestinal cancer. Due to its selenium and magnesium content, mustard also helps protect against various respiratory problems including the common cold, chest congestion, and asthma. 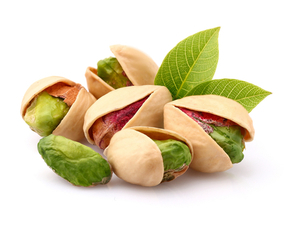 Selenium and magnesium have also been shown to relieve pain caused by rheumatism and arthritis. The B-complex vitamins in mustard speed up metabolism, aiding in weight loss, while niacin (vitamin B3) has the additional positive effect of lowering cholesterol levels in the body. Two other benefits of mustard are that it aids in hair growth as well as improves the body's general immunity to a wide host of illnesses. 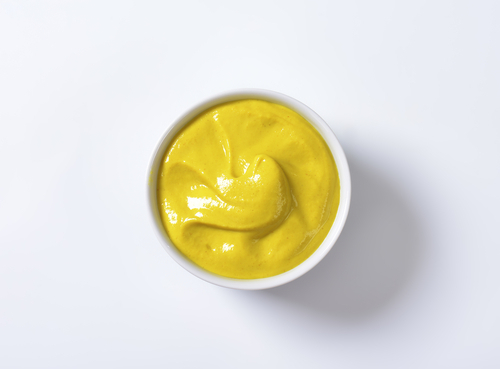 There is a wide variety of mustards available and the above benefits are regarding yellow mustard in particular, though they are present wherever mustard seeds and turmeric are as well. 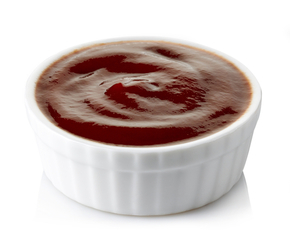 If you are using other types of mustard, honey mustard for example, you will want to check the label for unwanted ingredients such as sugar.